In the past, cataracts seriously affected patients’ quality of life. With no treatment available, the gradual growth of the cataracts would eventually lead to obscured vision or even total blindness. Fortunately, thanks to modern medicine, there is a simple, minimal recovery procedure to address this concern. An intraocular lens (IOL) will replace your compromised natural lens, restoring your clear vision. Our doctors offer personalized care and several types of IOLs. Therefore, there is not a standard cost for this treatment. We will work with you closely to determine the right type of lens for your needs and budget. To learn more about intraocular lens costs, contact our Monterey practice today. We primarily use IOLs to address cataracts. A common result of aging, cataracts develop when clusters of protein accumulate on the natural lenses of your eye. Cataracts cannot be removed. However, they only affect one part of your eye. Therefore, when your doctor replaces the cataract-clouded lens, you could still enjoy unimpaired vision. We can also use IOLs to treat presbyopia, another age-related condition. As you get older, your natural lenses will lose flexibility. You will no longer be able to adjust to close and far distances easily. Your new IOL will allow your eyes to transition more easily. Monofocal IOLs: The standard type of lenses, monofocal IOLs correct vision at one distance. Multifocal IOLs: Like bifocals or trifocals, these lenses have visual zones. They can correct vision at several distances. Accommodative IOLs: These lenses are flexible like your natural lenses, so your eyes can adjust quickly to near and far objects. 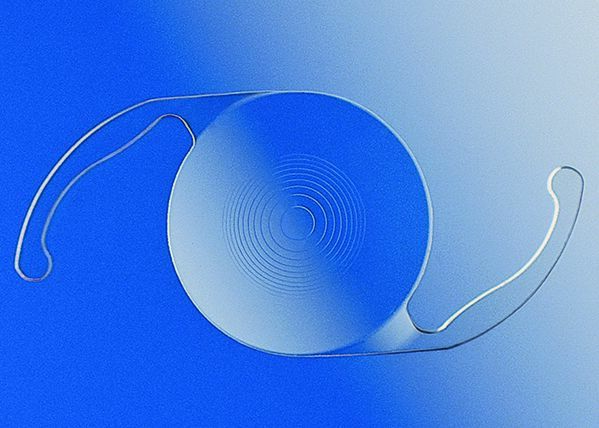 Toric IOLs: Toric lenses may be a good solution if you suffer from astigmatism in addition to cataracts. Aspheric IOLs: Aspheric IOLs allow for greater contrast sensitivity. They may make it easier to drive at night and perform similar tasks. Blue light filtering IOLs: These lenses will block out harmful UV rays that may lead to macular degeneration and other vision problems. Because monofocal IOLs are the standard type of lens, the other varieties will cost more. However, these lenses may be more appropriate for your health needs and daily activities. Therefore, you may be happy to make this investment in your vision and quality of life. While the type of lens you choose is the main factor in determining the cost of your IOL, there are other issues at work. Number of lenses: Each IOL is priced separately. Therefore, if you have cataracts in both eyes, your treatment will cost more than if you only need one IOL. Glasses or contacts: If you choose monofocal lenses, you will also have to factor in the cost of corrective lenses for distance or reading. Additional treatments: Though rare, you may require further surgery to achieve optimal vision correction. If you have astigmatism, you may also benefit from limbal laxing incisions before IOL placement. These other procedures will affect the cost of your treatment. Insurance and Medicare will typically cover the cost of IOL placement for cataracts. However, insurance companies will only finance basic monofocal lenses. If you want to enjoy the cosmetic and functional benefits of premium lenses, you will usually have to pay those extra costs out of pocket. In most cases, you will also need to finance your treatment if you are receiving IOLs for presbyopia. We offer flexible payment options and will help you find a solution that meets your needs. Contact Monterey County Eye Associates today to obtain a personal cost estimate for your IOLs.